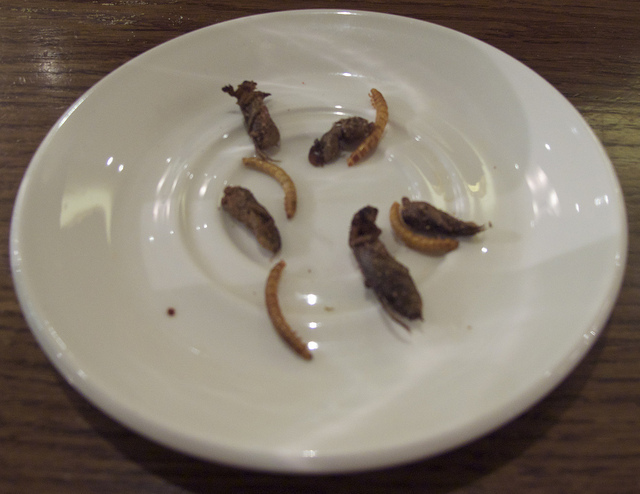 In Western countries, eating insects is often reserved for game shows, like Fear Factor, where eating a handful of hissing cockroaches can earn you a hearty paycheck. There is a perception that eating insects is gross or unnatural, and it is often associated with “uncivilized” populations. Nonetheless, eating insects is a far-fetched idea in the Western world. What would you do if you found a fly in your soup? Would you slurp it up as a delicious surprise ingredient? I know I wouldn’t. Interestingly, in several Asian countries, fly soup is a delicacy, so where does the global divide on eating insects stem from? Astoundingly, there are more than 1, 900 edible insect species on Earth, many of which are already part of the diet in several countries. Moreover, around 2 billion people around the world consume insects regularly. So, why is there such resistance in the West? It can’t be the crunch factor- chips are likely just as crunchy as exoskeleton. Maybe it’s because we see insects doing unclean things- flies swarming around dung piles, or worms crawling through the dirt. However, in saying this, the animals we do consume regularly do dirty things too- pigs bathe in mud and farmed chickens walk around in each other’s feces all day, so what’s the difference? A report recently released by the U.N. Food and Agriculture Organization, outlines the health, environmental, and social/economic benefactors for dining on bugs. Generally, entomophagy (the consumption of insects as food) is a safe and healthy alternative to ridding insects with pesticides. In terms of insect farming, as opposed to livestock, the emitting of greenhouse gases is considerably lower. Furthermore, the rearing of insects is not bound to land based areas, which means less land would be cleared for farming. Also, nearly anyone can raise insects making it a low-tech, healthier, and more sustainable alternative to dietary staples such as chicken, pork, beef, and fish. The report clearly demonstrates how many aspects of society can be improved and supported if we were to eat insects. If you want to read the full report you can view it here. Although the U.N.’s “insect initiative” is thorough, logical, and somewhat persuasive, there are many gaps. The report ignores the vegan segment of the population. What are their opinions on the consumption of insects? Are there any objections by vegans? The report also assumes that the transition to eating insects is natural. There will no doubt be resistance to eating bugs simply because of our current diets. The way in which we buy food, at supermarkets, has an enormous influence on our diets. Would grocery stores be permitted to sell bags of insects or maybe even cricket cream cheese? In addition, there is already so much debate about the proper labeling of foods. With genetically modified products, organic products, and even false labeling, selling insects as food may become another regulatory dispute. Even in desperate economic times and ecological change I do not see insects becoming part of Western countries’ diets anytime soon. The shift to consuming insects may occur if the situation around the world becomes extremely desperate. It seems like eating insects would be almost impossible for most people to accept, simply because unless we’re stranded in the Amazonian rainforest, grasshoppers are just grasshoppers, not an ingredient. I cannot help but imagine, if we were to begin eating insects, how different the Niagara Falls butterfly museum would be.